Tangy, tasty and healthy: I've made this dish a lot for my friends and family. It's a change from tomato based sauces. It's quick enough for a weekday dish and looks impressive enough for a dinner party (Jane). 1. Cook the salmon - microwaving works well. Place in a large china or Pyrex covered bowl, add some water, lemon and salt and pepper and cook until just done. Don't overcook. 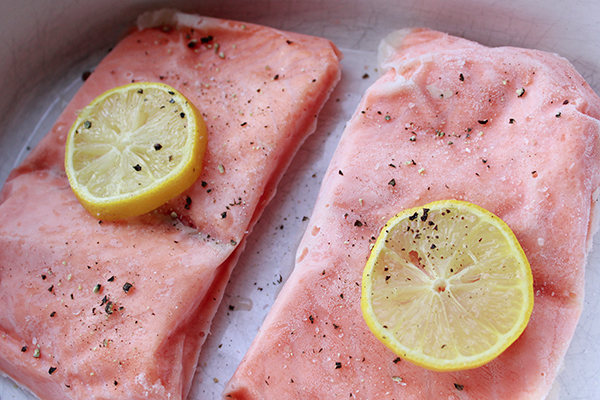 When cool to touch, break up salmon into smallish pieces. Use your hands! 2. Heat olive oil in large pan. Add red onion. Sauté a few minutes. Deglaze pan with white wine. Add sour cream and stir well. 3. Add chopped tomatoes, artichokes. Add cooked salmon. 4. Add lemon juice, jalapeno or sambal oelek, salt and pepper and herbs. 5. If you want a thicker sauce - combine 1 - 2 teaspoons of cornflour with cold water. Mix well. Add to sauce. 6. Serve sauce over hot pasta and enjoy! 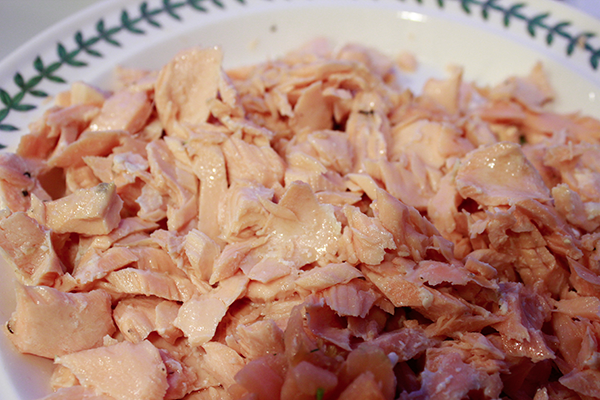 Mix it up: substitute smoked salmon for fresh, use prawns instead of salmon. Or go vegetarian - just add some extra vegetables - peas, snow peas and asparagus.